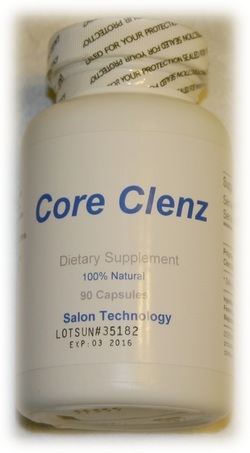 This is the herbal formula "CLENZ" many have praised and used for over a decade. From Salon Tech, formerly known as "Salons Only", Slender Essentials product line. Each bottle contains 90 capsules (465mg) of pure herbal ingredients only. Daily value not established. As a dietary supplement take one to four capsules before bedtime. If you tend to be sensitive to herbs you may want to take just one capsule when using for the first time. Select quantity with pull-down, then "Add to Cart". Sorry we do not ship to Idaho or outside the U.S.A. DOES NOT CONTAIN -- Yeast, wheat, corn, dairy products, eggs, glutens, sugar, starch, artificial colors or preservatives. IMPORTANT: NOT RECOMMENDED IF YOU ARE PREGNANT, LACTATING OR UNDER 12 YEAR OF AGE. KEEP OUT OF REACH OF CHILDREN. As with all dietary supplements, consult a qualified healthcare professional before using if you are on medication or have a medical condition.